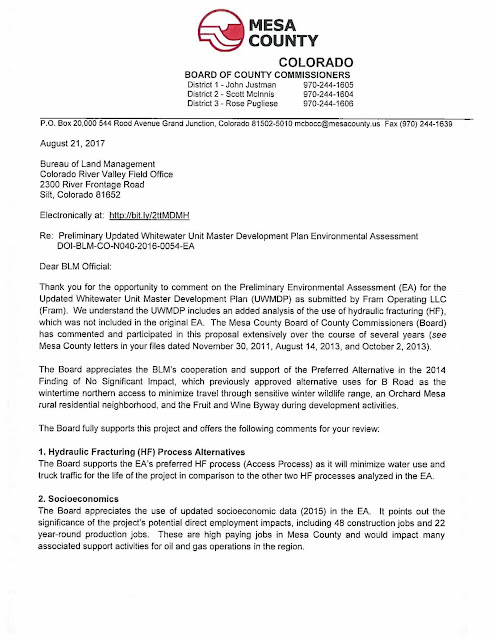 The Board of Mesa County Commissioners this morning signed a letter to the Bureau of Land Management, regarding the Preliminary Environmental Assessment for the Updated Whitewater Unit Master Development Plan as submitted by Fram Operating LLC. Commissioners take public testimony on the letter commenting on the Updated Whitewater Unit Master Development Plan. 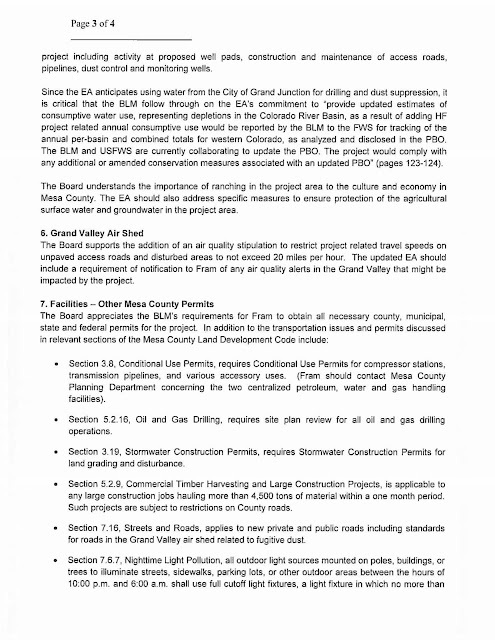 Mesa County Commissioners approve and sign a letter to the Bureau of Land Management, regarding the Preliminary Environmental Assessment for the Updated Whitewater Unit Master Development Plan as submitted by Fram Operating LLC. 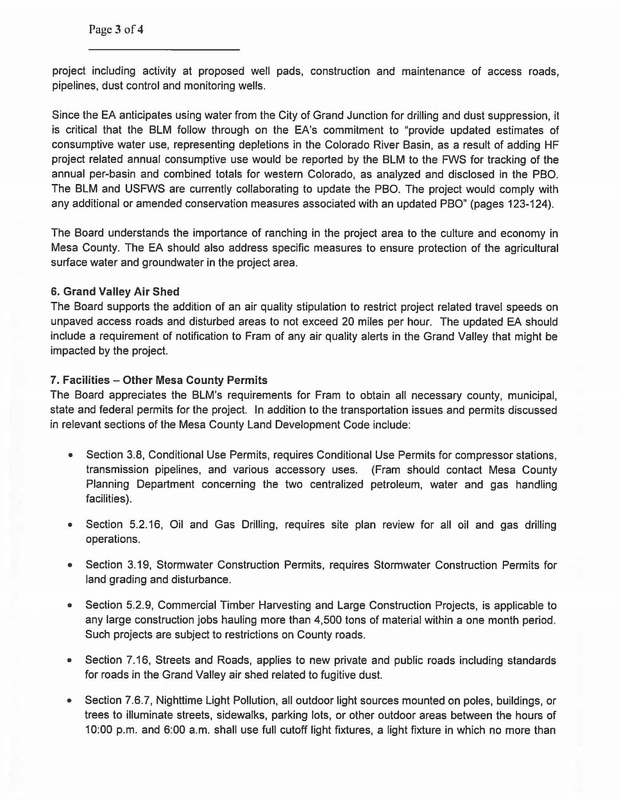 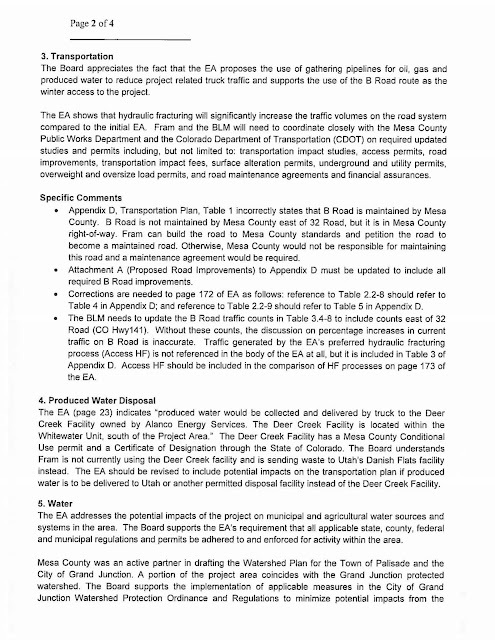 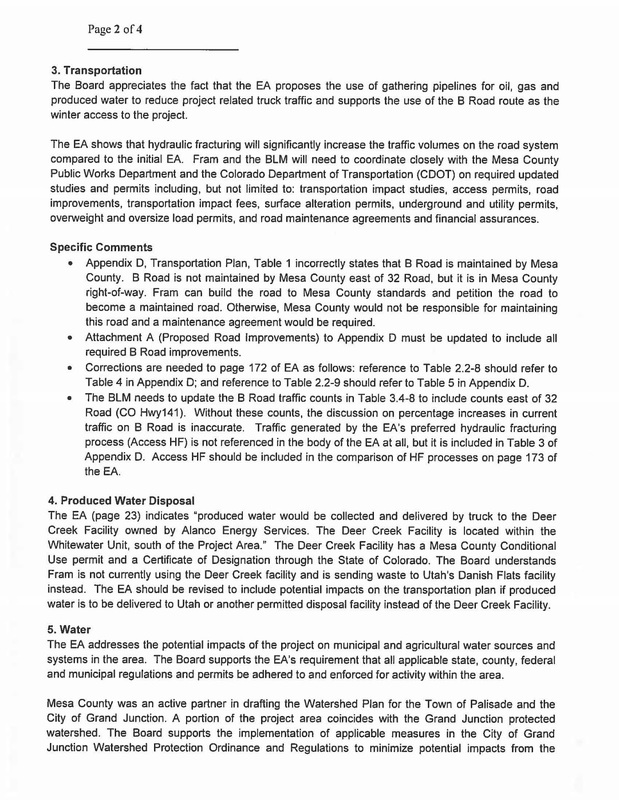 The letter states: "The Board appreciates the BLM’s cooperation and support of the Preferred Alternative in the 2014 Finding of No Significant Impact, which previously approved alternative uses for B Road as the wintertime northern access to minimize travel through sensitive winter wildlife range, an Orchard Mesa rural residential neighborhood, and the Fruit and Wine Byway during development activities." 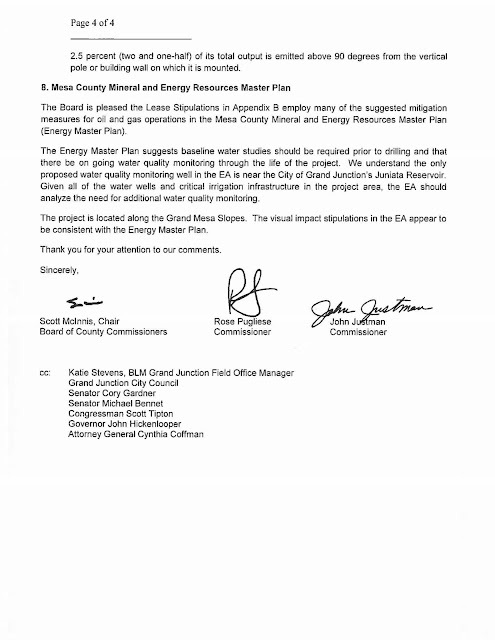 To read the full letter, go here or view below.